The editors of the Parkiet daily for the 24th time awarded the top league of Polish capital market with the "Bulls and Bears" prize. 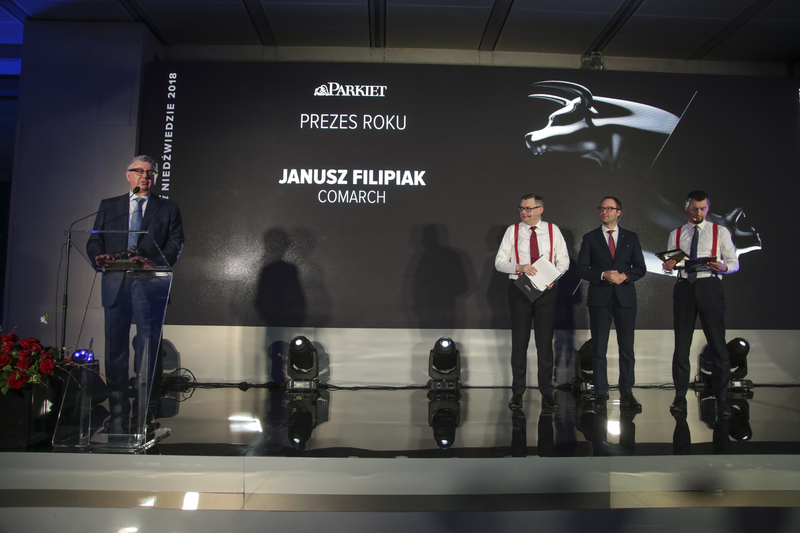 The title of "CEO of the year" was given to Professor Janusz Filipiak. The jury awarded Professor Filipiak for the consistent development of Comarch for twenty-five years.